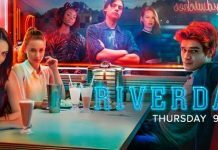 Riverdale season 1 concluded a few months ago, in May 2017 and fans of the hit TV series have been eagerly waiting for the next season to arrive since then. The previous season was a rather amazing one as it was filled with thrilling moments and fans absolutely loved it. Because of the positive response from fans for the first season, The CW decided to renew it for another season, which is currently scheduled to arrive later this year. The official announcement did set the hype going for the next season, but at the same it, it gave birth to a lot of rumors regarding what the next season is going for feature. 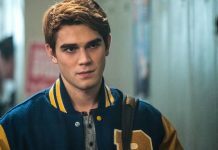 Even fans started coming up with their own theories about what could possibly happen in Riverdale season 2. Well, one thing is for sure that things are going to get darker and scarier in the upcoming season. 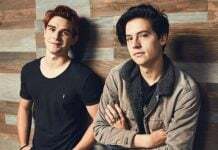 Recently, the titles of the first four episodes of Riverdale season 2 were revealed, which give fans a hint regarding how things are going to be this time. The episodes are titled as “Chapter Fourteen: A Kiss Before Dying”, “Chapter Fifteen: Nighthawks”, “Chapter Sixteen: The Watcher in the Woods” and “Chapter Seventeen: The Town That Dreaded Sundown” respectively, and all four of these titles tease horror influences. When season 1 was being aired, the team behind the series claimed that they will bring a big change to the genre of the show in the next season. And the titles of the episodes confirm that the series is going to undergo a darker change. Along with this, Riverdale season 2 is also going to feature some new faces. The father of Veronica Lodge, Hiram is going to appear in the second season. He will be played by actor Mark Consuelos. On the other hand, the actor who plays the role of Reggie Miller in the series, Ross Butler is going to be replaced by Charles Melton. This means that Reggie is going to get a new face too. On the other hand, the next season is also said to solve the mystery behind Betty Cooper and her secret brother. Some fan theories claim that his brother could turn out to be Joaquin DeSantos, who is Kevin Keller’s boyfriend. Riverdale season 2 is currently scheduled to air on October 11, 2017. Let us know if you’re excited about it or not in the comments below. 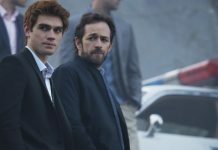 Riverdale Season 1 Episode 2 Release Date And News: Jason Blossom Murderer’s Identity To Not Get Revealed Soon?